GRI Standards: Have Your Say! Interview with Robert E. McGarrah, Jr.
Interview with Marjella Alma, CEO, eRevalue. Interview with Paul Boykas, Vice President Public Policy and Government Affairs, PepsiCo. Interview with Roberto Waack, Chairman of the Board, AMATA. GRI's services are aimed at improving organizations' reporting process and quality of disclosure. The tools and services guide and equip reporters at every stage of the reporting process by improving knowledge, identifying and reviewing reports and digging into the data. GRI is an international independent organization that has pioneered corporate sustainability reporting since 1997. GRI helps businesses, governments and other organizations understand and communicate the impact of business on critical sustainability issues such as climate change, human rights, corruption and many others. 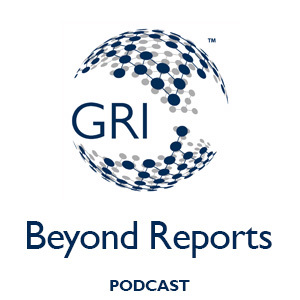 With thousands of reporters in over 90 countries, GRI provides the world’s most trusted and widely used standards on sustainability reporting, enabling organizations and their stakeholders to make better decisions based on information that matters.